IF you know him from his NBA days, you can hardly recognize Lou Amundson these days as he sports a new, cleaner look than the one he’s known for. “The term ‘man bun’ didn’t exist before I came through with it,” he added. Sporting a new hairdo also comes at a perfect time – at the cusp of summer season in the Philippines. 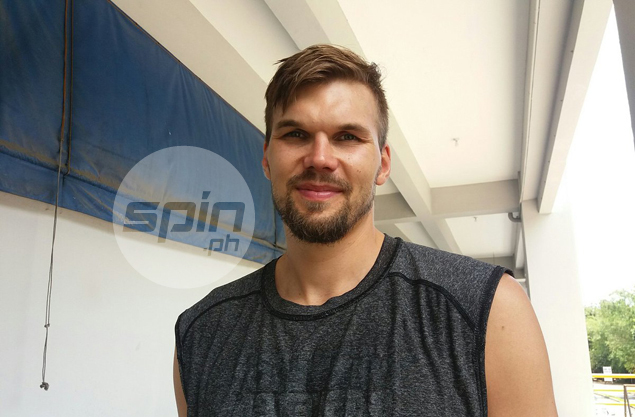 “It’s very hot and humid here, so it’s been an adjustment trying to practice in this heat and just trying to get my legs back under me after the long flight and the time change,” Amundson said before leaving the Moro Lorenzo gym inside the Ateneo campus. “Everybody’s really nice and it’s nice here, but there’s lots of traffic, though,” he added with a chuckle. Apart from the horrible traffic, there’s plenty more Amundson is about to discover about this Southeast Asian country in his first professional stint overseas. “I’ve always kind of had it at the back of my head, just wanted to experience playing in a different country, and just kind of the adventure of it,” the 10-year NBA veteran said. But before he thinks about going on vacation, Amundson must buckle down to work, and bring his trademark energy and a lot more to the Texters in their Commissioner’s Cup campaign. “For me, it’s just trying to get in game-shape again,” Amundson said, admitting he hasn’t played in four months. “So it’s just kind of getting acclimated again to playing, playing up and down, and playing at a high pace. And Amundson, who was officially measured at 6-8, is hoping to lead the team to a finals appearance after the Texters fell short in the Philippine Cup. Racela can already attest to how quick Amundson can adapt to his system despite having only two practices with the team since arriving last Tuesday.